Want to stay in nice B&B or little charming gite for a romantic getaway, a business meeting, or a touristic discovery ? 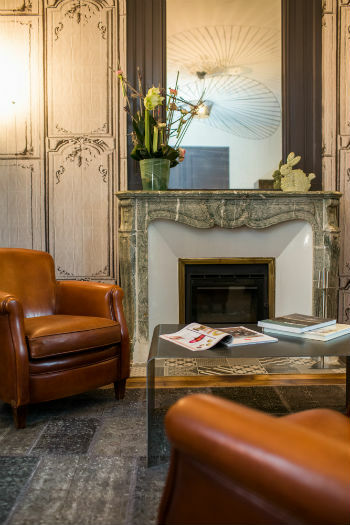 In the beautiful city of Saint Malo in Brittany, Emmanuelle welcomes you throughout the year at the Villa Saint Raphaël guest house, located at 2km from the center of the old city. In the center of Saint-Servan, the bed and breakfast Villa Saint Raphaël is just 100 meters from the quiet beach of Fours à Chaux, 1 km from the Solidor tower, port and restaurants. It is the ideal starting point to explore the walled city without taking the car, or to discover the charms of Brittany. Away from the crowd, the Villa Saint Raphaël, fully renovated in 2013 reveals its charms : a quiet garden, five comfortable guest rooms in the soothing and delicate atmosphere of an old house.